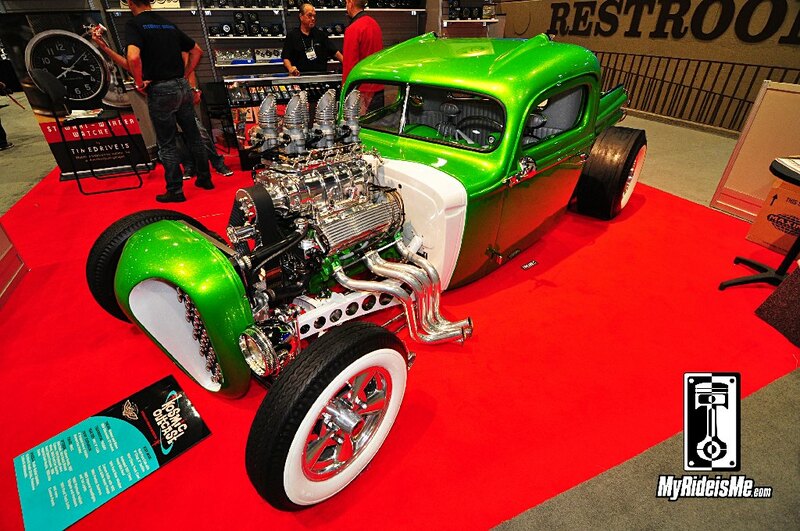 Another SEMA 2013 Hot Rod and this one’s KOSMIC! 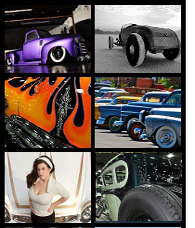 I didn’t get a chance to talk with the owners or builders on this terrific custom hot rod, but I had to post pictures… if you can stand out in the shadow of the HUGE Ford display, then you’ve really stepped up, don’t you think? 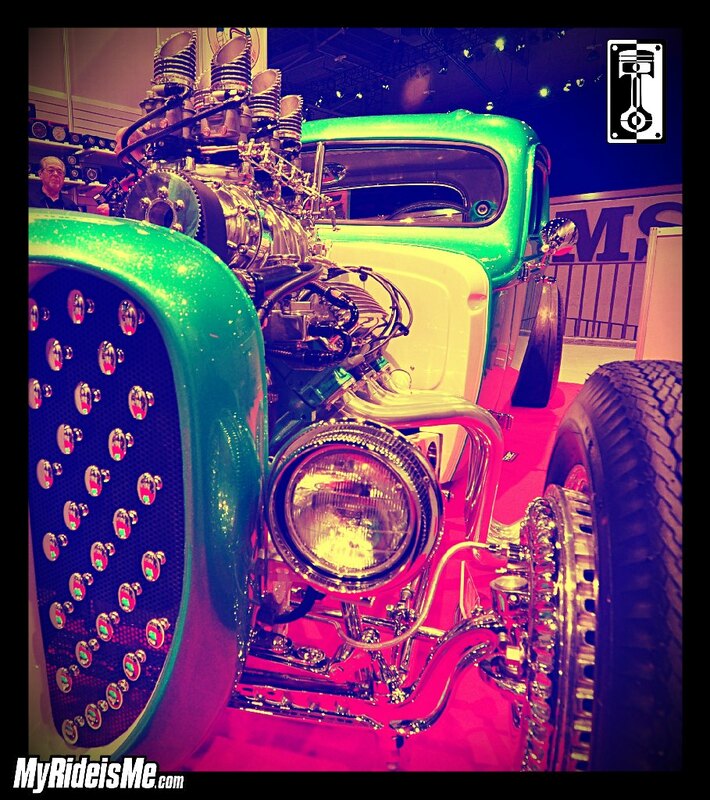 Hats off to the builders at Hot Rod Chassis and Cycle! 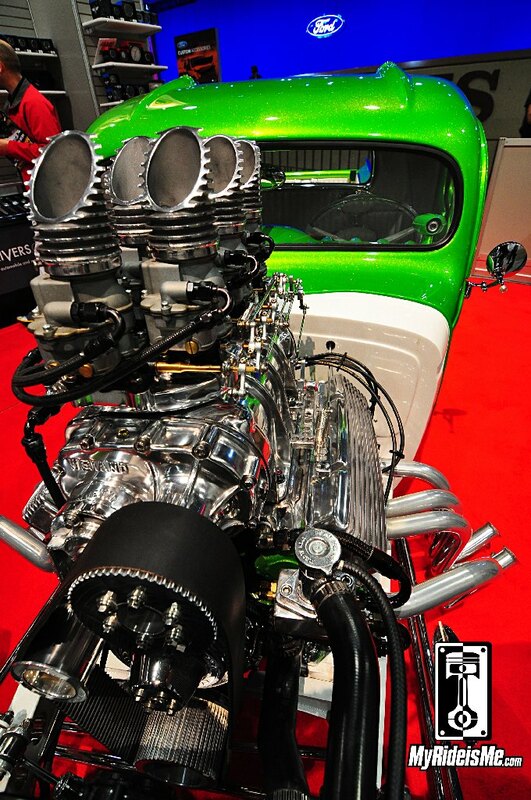 Luckily, the show card tells part of the story… Besides proclaiming this the Intergalactic Weapon of Destruction, we learned the blown beast up front is a 1959 Oldsmobile 371 Rocket. And no, it’s not hooked to an old lady’s automatic… it’s hooked to a 5 speed TKO600! I totally dig how most of the groundbreaking cars I shoot these days choose manuals over automatics when trying to take over anything from a small town to a whole galaxy. The custom tricks seem to be based on parts available to a 60’s customizer, right? Do we have any 1960 Imperial fans in the house? 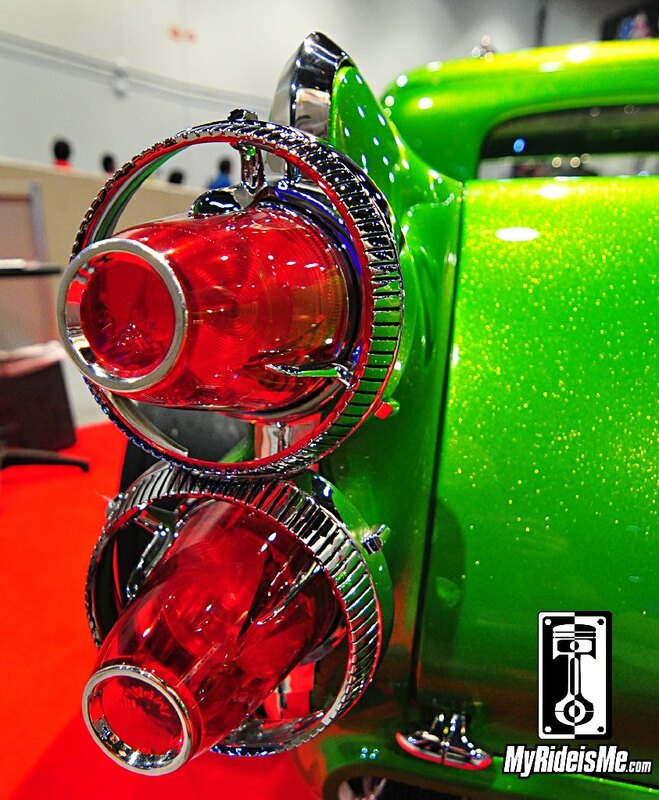 Recognize these taillights? 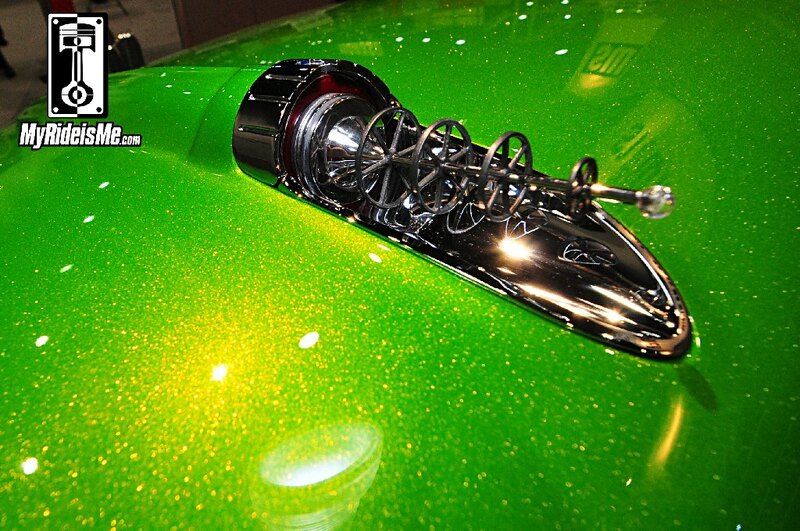 They look perfect with the spacey look of this flaked green custom truck. What is that eye-looking thing just up and to the left of the rear view mirror?